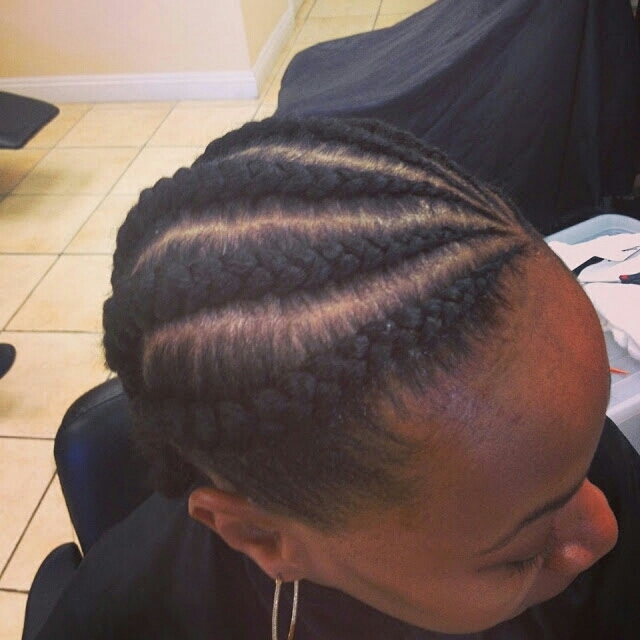 Adja's African Braiding & Salon, Barber, and Nails of Las Vegas, Nevada offers professional African hair braiding services, as well as other hair styling services, such as string and sunburst locks. Our skill in hair braiding stems from a childhood in Africa, where communities function as families, and everyone spends time working on each other's hair. We offer a variety of services to accommodate many needs. If you’re looking for a hair services coupon, we’ve got you covered there too. Beautiful braiding is a time-honored tradition that has been passed down through generations. As an African Native-owned business, we work in the traditional African forms of braiding. We offer standout patterns and natural looks for each of our guests. Each of our services is performed using all-natural products that give you a glamorous appearance without causing damage to the hair. Whether you're starting a new set of sunburst and string locks, or touching up the end of your existing hairstyle, you can rely on us to provide you with beautiful, professional results every time. Adja's African Braiding & Salon, Barber, and Nails is a nice and quiet environment with braiders that know what they’re doing and the value of the customers. Not only do we treat our customers with respect, but our hair braiding services are guaranteed to satisfy your expectations.